Updates you won't want to miss. During today's Nintendo Direct focused on Super Smash Bros. Ultimate, series director Masahiro Sakurai went over several details. One of the most impressive details involved how many stages this massive version of Nintendo's crossover fighter will contain. According to Sakurai, Super Smash Bros. Ultimate features 103 distinct stages. Each stage can be transformed into Battlefield and Omega forms, and every stage can be used in 8-player battles. 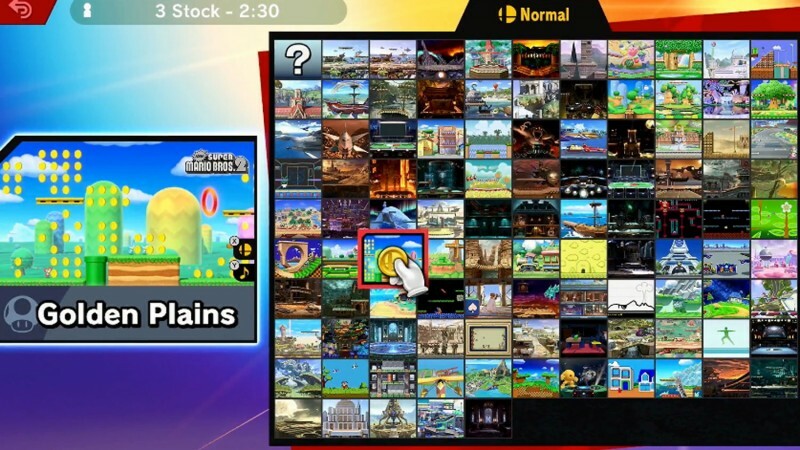 In addition, all stages are available from the very beginning, so you don't need to unlock them. Players can also toggle whether they want stage hazards to be active during any given battle. In addition, if you select the "Stage Morph" option before a battle, you can select two stages that the battlefield will transform between over the course of the fight. With so many stages, the team decided to order them chronologically based on when they were introduced into the Super Smash Bros. series. 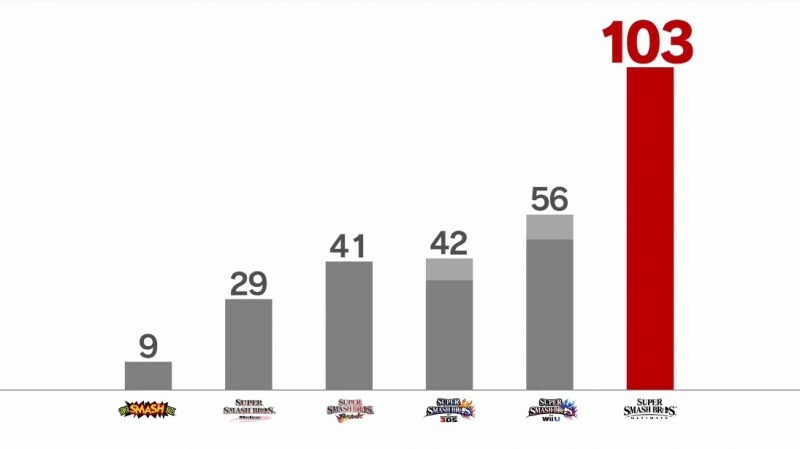 In addition to the stages we already knew about, Sakurai introduced several fan favorites that are returning for Ultimate. The following stages were confirmed to come back for Super Smash Bros. Ultimate. In addition, Nintendo revealed New Donk City Hall from Super Mario Odyssey. The stage begins at ground level before scaling the tower with rising platforms. The musicians you collect in that Kingdom in Super Mario Odyssey also appear in the stage, and it appears that if you hit them and Pauline, the vocal rendition of "Jump Up, Superstar!" plays. Sakurai says that the team worked hard to modernize the look and balance of returning stages, but for stages from the original Super Smash Bros., the team tried to keep them as faithful in both look and design to the original version as possible to prioritize nostalgia. You can see some examples below. Super Smash Bros. is set to launch on December 7 for Nintendo Switch. For more announcements from this Direct, check out the announcements of Simon and Richter Belmont, Dark Samus and Chrom, and King K. Rool. Also be sure to check out our roundup of a ton of miscellaneous information from the Nintendo Direct. An informative site based around the ever growing topic of online gaming.